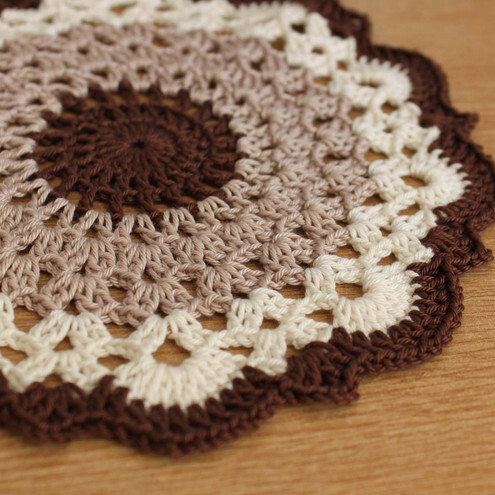 I have crocheted this lovely vintage style doily in a cream 100% cotton yarn. A pretty decorative accessory with a variety of uses around your home both inside or out. Measures approx. 8"(20cm) across and is machine washable in a warm 40deg medium wash, dry flat,do not tumble dry. A nice addition to the table. Could be used as coasters or decorations. They measure approximately 10cm (4") in diameter. Three little lovely crochet doilies. The smallest is tiny, the middle is small, and I can't say that the "big" is big :) Cute little doilies for a coffee table, a shelf, under a vase or a pot. 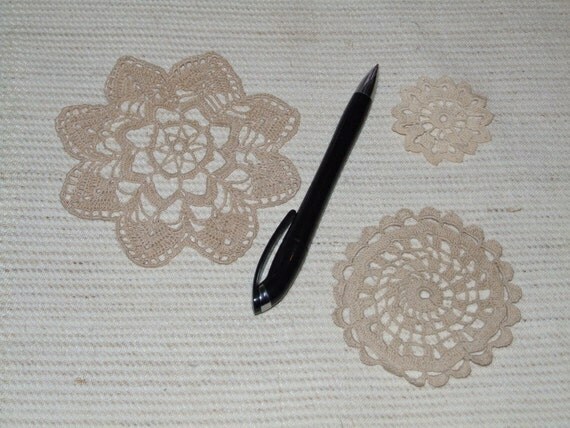 This crochet doilies are in good condition, but they are vintage. I have made this beautiful ivory doily expecially for this cushion. It is machine sewn to the cover. The cushion cover is 100% cotton, standard size (40 x 40 cm, 16 x 16), light grey. Zip opening. Machine washable at 60 degrees. This beautiful cream crochet doily has a raised pattern which is a modern variation of the traditional doily. It measures 8 inches in diameter and has been handmade from luxury mercerised 100 percent cotton yarn. 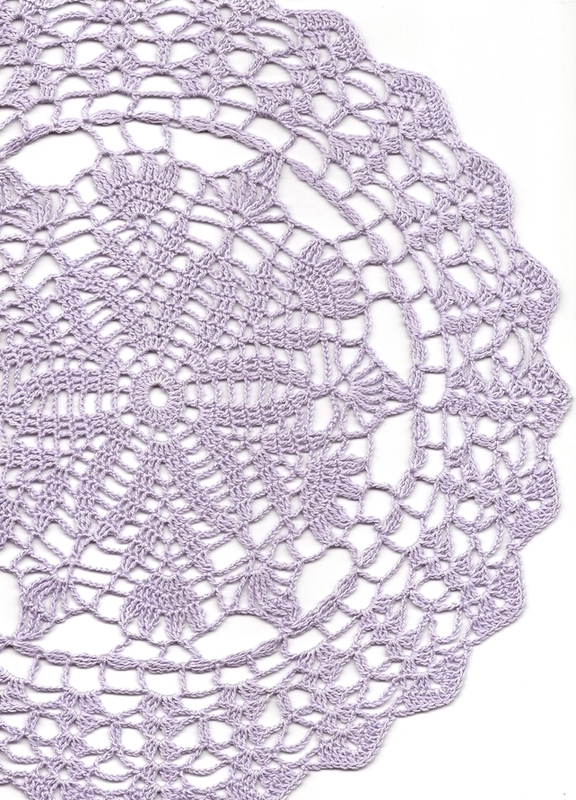 This charming doily would make a lovely gift or look delightful in your own home. 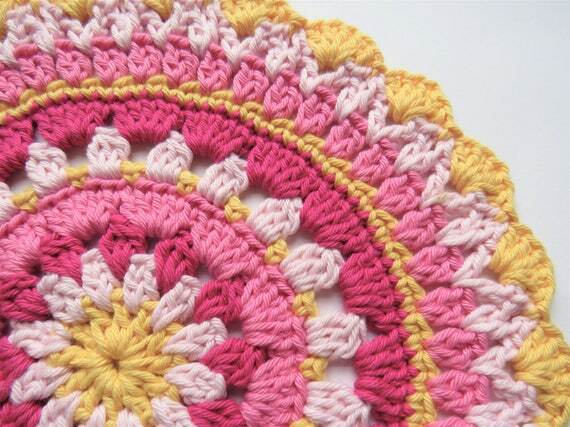 Folksy :: Buy "Chunky Crochet Doilies"
Two crochet doilies, made from thicker cotton than usual. 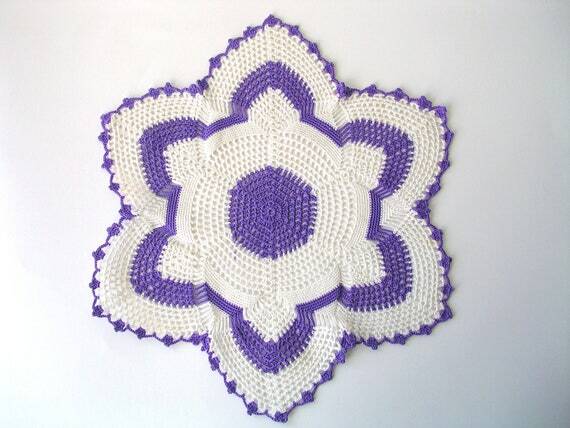 Nice modern designs, easy care, can be used as decoration or doily/place mat. Made in a lovely rich grey with pale pink trim and a plain grey one. 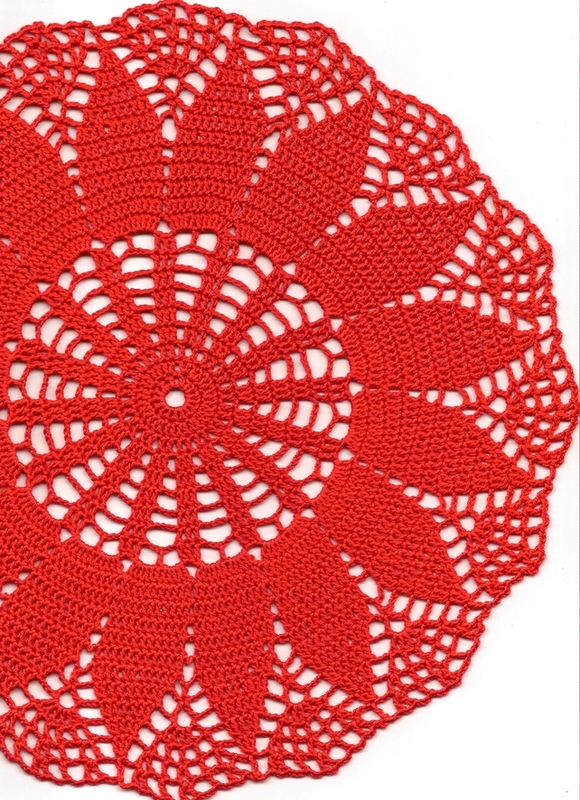 Each doily measures approx 16cms/6 inches. 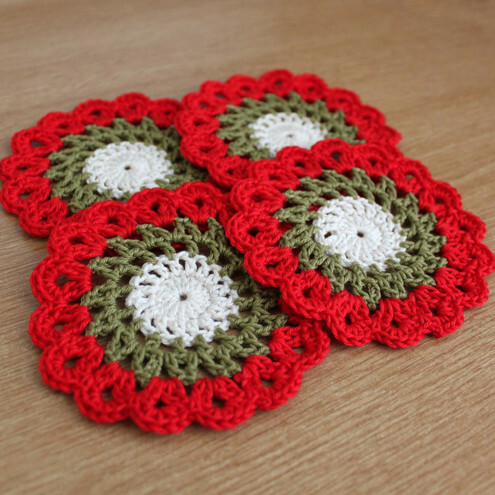 Folksy :: Buy "Set of 4 Crochet Christmas Doilies"
shhhhh.... can you hear that... yes! Christmas is COMING! Time for wining and dining!... and for some of us more wining! Made from beautiful coffee browns and cream cotton this is fabulous centre piece to any self respecting coffee table! Folksy :: Buy "Vintage Doily Cushion"